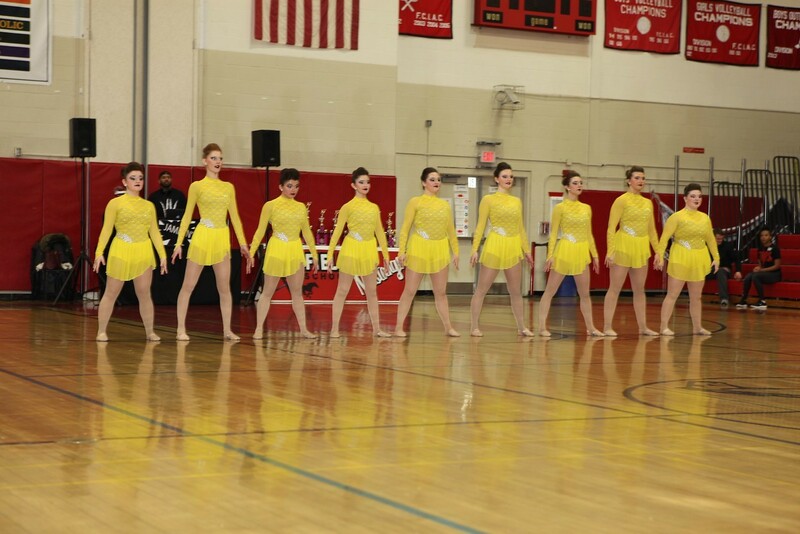 Though Branford Dance Team is small, it has built a mighty program since their inception in 2005. With an impressive history of state and regional championships, the team wrapped up one of their best seasons yet. 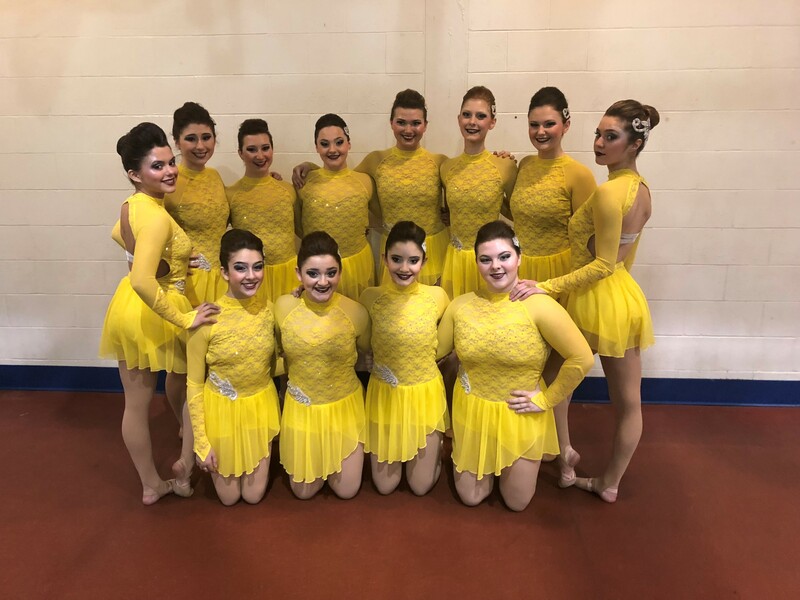 They took home both the Connecticut State title and New England Regional title, and made it to finals in both jazz and hip hop at NDTC Nationals, placing 6th in Hip Hop! "During last season we suffered the loss of a huge team supporter, affectionately dubbed our #1 Fan. We dealt with our grief by channeling our story through the performance of our jazz routine, and it was very emotional all year long.This season, we are dancing to "Let It Be" by the Beatles and it has become the sequel to last season's story. "Let It Be" symbolizes the next stage of healing for us—acceptance and support. Our choreography is effortless, yet emotional. Even our beautiful yellow lace dress, designed by The Line Up, had a connection to our story as well. Not only is yellow an uplifting color which relates well to the song, but our #1 Fan was also a sunflower lover. The costume is the perfect accent to connect all the dots for our story." The heartfelt emotion is evident in their performances, which you can see in the video below. 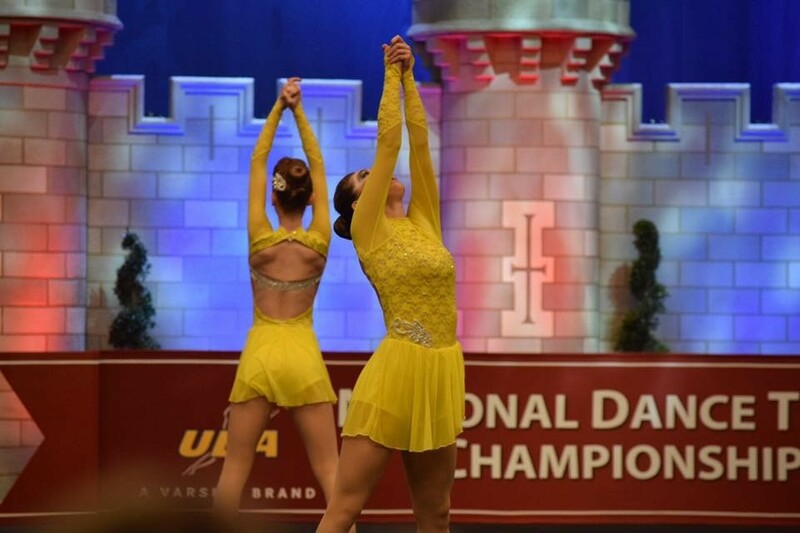 The hopeful and sunny yellow color, the romantic lace, and flowing skirt of their costume all helped further express their emotional choreography. What a beautiful tribute! More Q & A with coach Jacqui and a video of the team's performance, below! Our competition music is "Let It Be" by the Beatles for our jazz routine. Our town is such an amazing, supportive, tight knit community. Branford is so supportive of us, and because of this we've been able to grow together as a family and create a legacy for our program. This team was started in 2005 and has grown stronger every single year. We've earned a total of 21 championship titles in our State and Regional competitions, and have competed as UDA Nationals Finalists. But more importantly, we're able to accomplish this solely because we have created such a strong bond with each other—the dancers, the families, the alumni, and the coaches are all one big family. Each year our team sets goals for the season, and each year we have reached them and exceeded them. Our motto over the last several years has become "Fighters Make History" and at the end of each competition we are proud to say it's been our most successful season yet. As we're in the height of this season, we're excited to strive to make history again and have yet another program best to reflect on at the end of the year. Practice space and limited practice time! In the month leading up to UDA Nationals we have been shortchanged so much practice time due to limited practice space, snowstorms, and a run of the flu that took down half of our team for almost two weeks! Because of this we have had to push extra hard and extra fast during the practice time we have had, which takes a toll on a dancer's body. The team has been great at pushing their limits and keeping their energy high and positive.